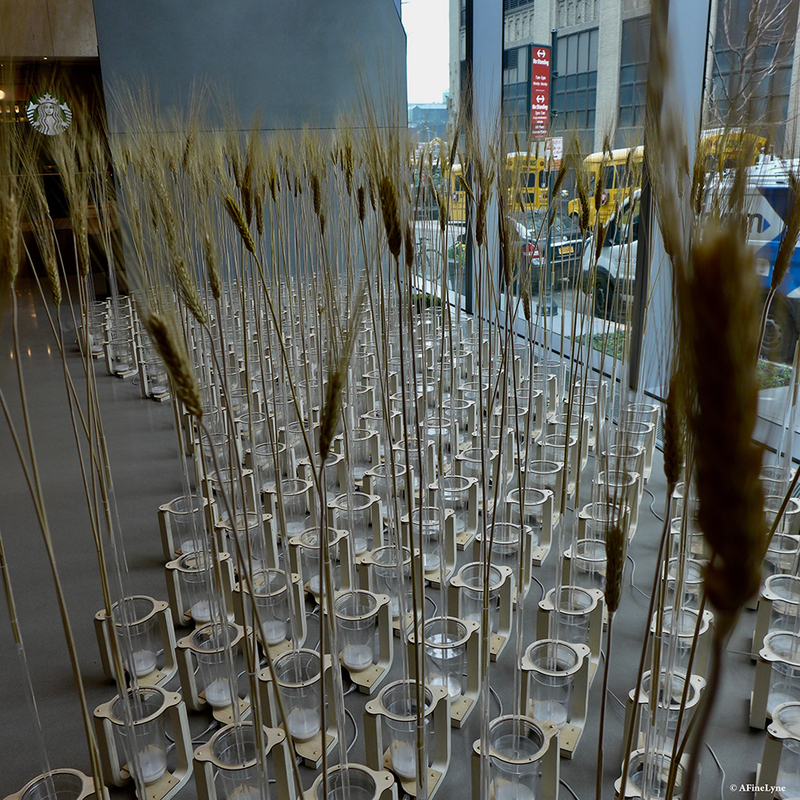 The interactive art installation, ioNATURE: Wheat Field fills the small windowed, street level space of the lobby at 5 Manhattan West. 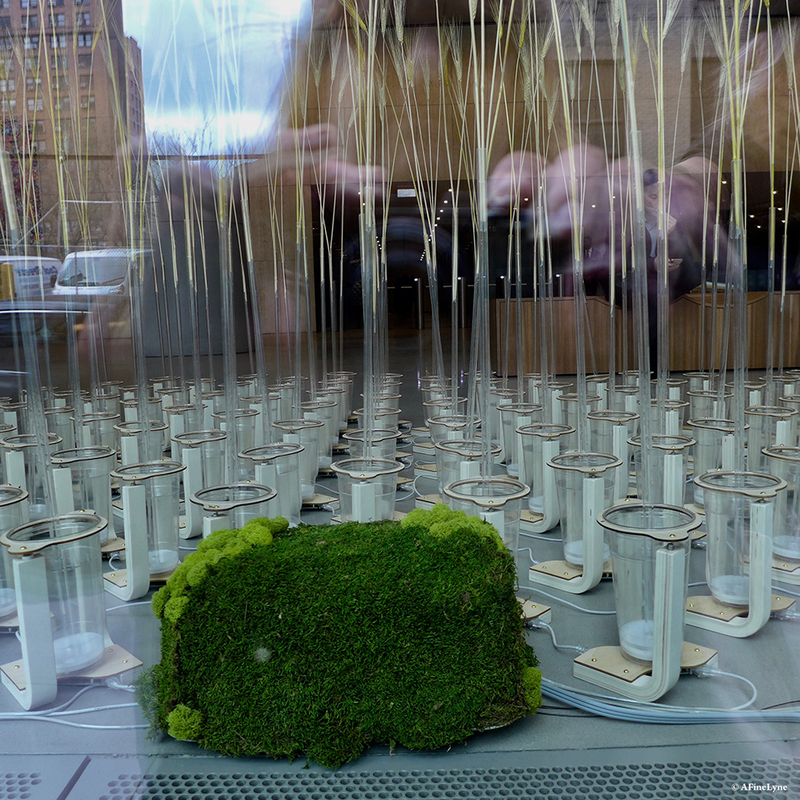 The New York-based artist’s, Peiqi Su and Deqing Sun, hope to illustrate a connection between the body and nature ~ and technology used to control it. 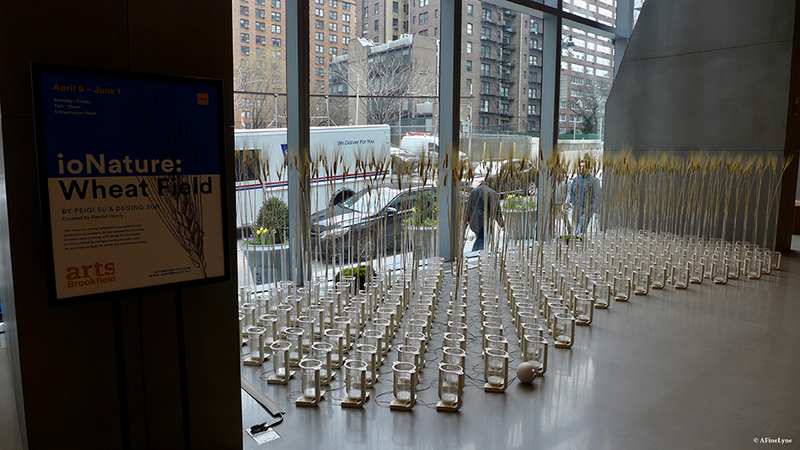 But aside from the metaphorical illustration they hope to present, those passing by can’t help but notice the installation (wheat stalks) moving along with them, as the artist’s put it, “the stalks of wheat ripple in waves as if caused by the invisible currents created by the body moving through space. 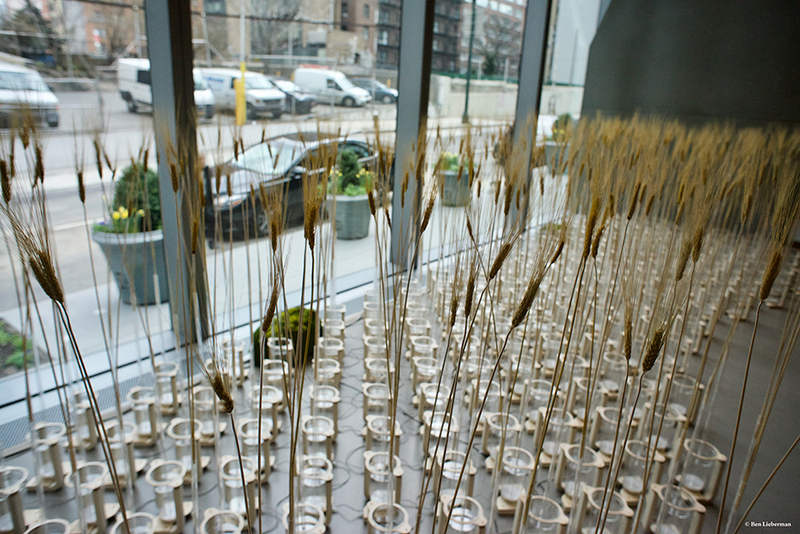 As you move, so does the wheat; you are interconnected.” Visually, the installation is a beautiful site ~ inside the lobby and outside on the sidewalk. Creating the interactive part of the installation is complicated. We were able to find some photos of the set-up during a 2017 installation at World Maker Faire at New York Hall of Science, and have posted the images below. 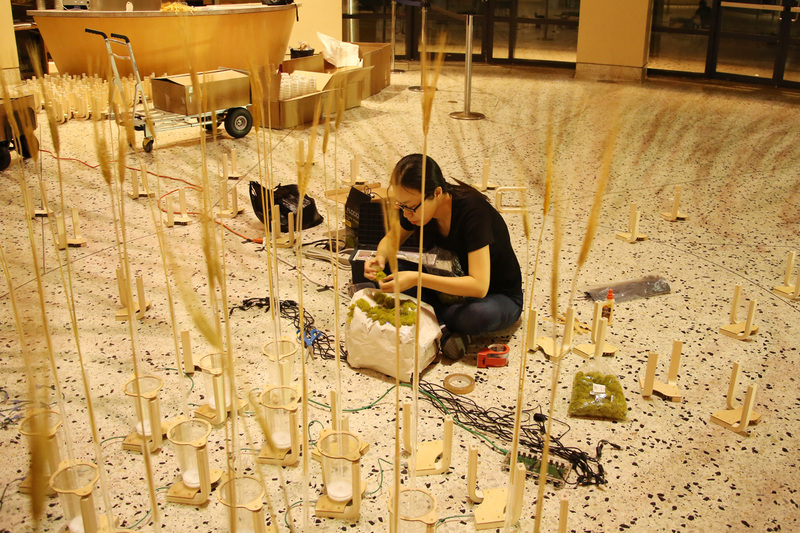 ioNATURE is created from dried wheat, bended plywood, sensors, and customized circuits and software. During the 2017 exhibit, the installation received 6 Editor’s Choice Ribbons. ioNATURE: Wheat Field is curated by Kendal Henry, who we know well from his thirty years in public art and from the plethora of art installations he has curated as the Director of the NYC Department of Cultural Affairs Percent for Art Program, as well as adjunct professor at NYU’s Steinhardt School of Culture, Education and Human Development. 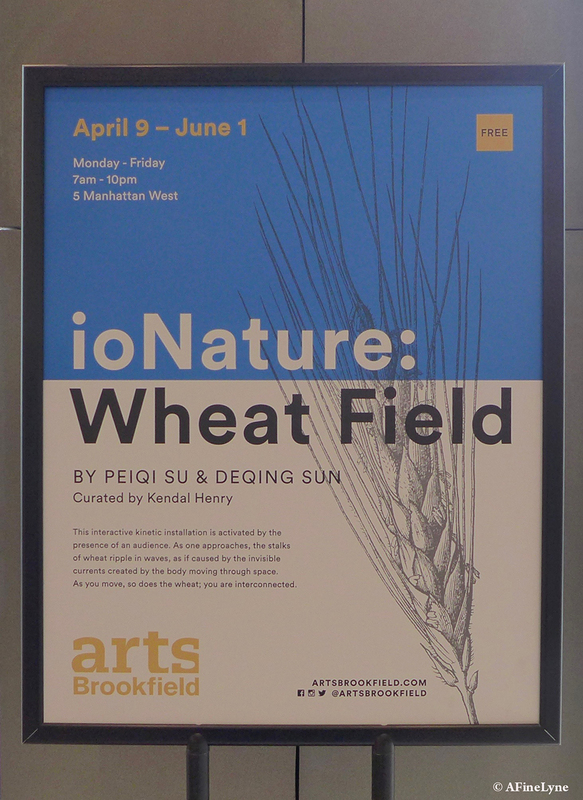 ioNATURE: Wheat Field by the artists Peiqi Su and Deqing Sun is presented by Arts Brookfield and located at 5 Manhattan West (also known as 450 West 33rd Street near 10th Avenue), and will be on view to June 1, 2018. 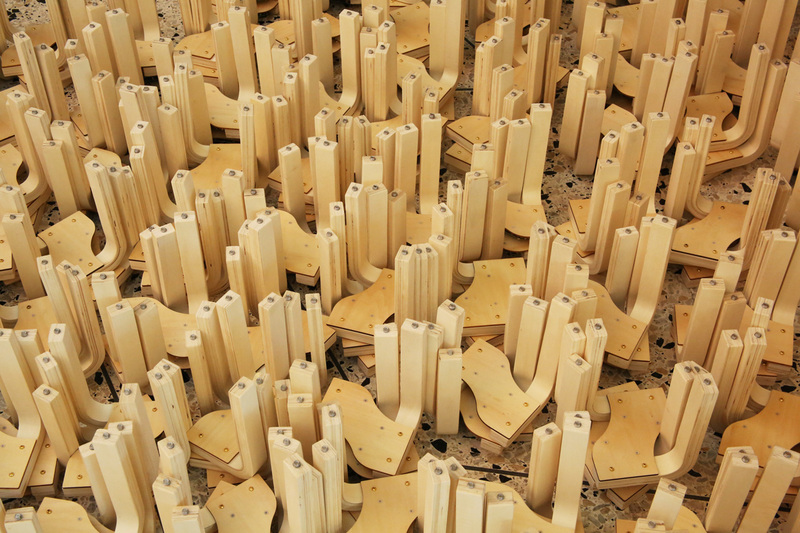 Check out more interactive installations by the artists at ThinkCreate. 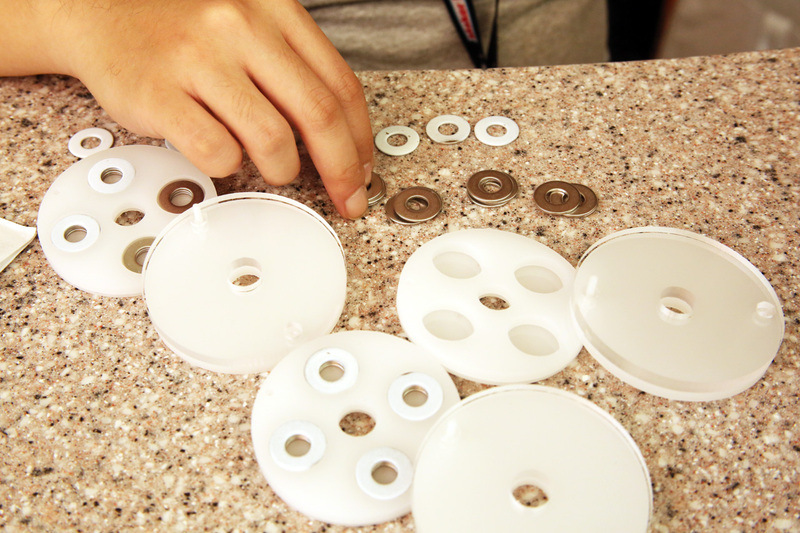 Below, a few images of an installation process.